GameStop is charging a whopping $90 for used copies of a Wii game—and it's leading some fans to voice some serious suspicions about how it got back in stock. 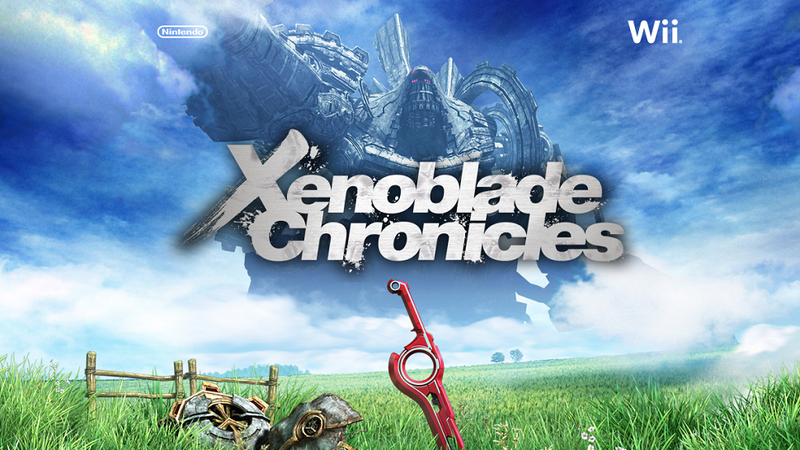 Xenoblade Chronicles, a Nintendo-published RPG that came out for the Wii in April of 2012, has become something of a collector's item for several reasons: only a limited number of copies were printed, for one, and the game was only sold through GameStop and Nintendo's online store. Copies of the game have proven tough to snag, and although it originally sold for $50, hawkers are getting much more on used game marketplaces like eBay. And then there's GameStop, which sells pre-owned copies of Xenoblade for $89.99. It's the most expensive used game they've got, not counting bundles. As of a few weeks ago, however, buying Xenoblade from GameStop was just a pipe dream; the game was impossible to find. But GameStop recently restocked their stores with nothing but pre-owned copies of the game, according to their website and multiple stores. Their supply has increased in some way over the past couple of weeks—as of July 31, you couldn't buy either new or used copies of Xenoblade online, yet today, the new option has been removed, and pre-owned copies are in stock. I called a bunch of NYC GameStops this morning, and employees at three stores told me that within the past two weeks they received new shipments of used Xenoblades, which they'd happily sell me for $90. One GameStop source tells us the retailer printed a few thousand copies of the game with no shrink wrap in order to restock their inventory, then labeled them as pre-owned. Reached for comment, a GameStop rep told us they're looking into it. We'll update when they get back to us. This is ridiculous. It'd be one thing to sell a game for $90 because it's very rare, but when GameStop is the only retailer with access to inventory, and when that inventory has suddenly been restocked, this sort of price inflation is obscene. Xenoblade is also now heavily promoted on GameStop's website, and the product listing has been updated with all sorts of new info about the game's characters and features. One Texas-based Kotaku reader said GameStops in his area have also recently received shipments of Xenoblade, and that he bought one this weekend. He says the condition is just like new, and that the included Club Nintendo code was unused. People on message boards like NeoGAF are reporting similar stories, saying their local GameStops have suddenly received pre-owned copies of the game, and that they feel new. Many also say the included Club Nintendo codes were unused. Since GameStop is the only retailer to sell this game—it's no longer available in the Nintendo Store—they can control the supply, and price accordingly. We reached out to Nintendo for comment early this morning, but they haven't gotten back to us. We'll update if they do.